Canberra is full of family fun. But there is still scope for more frugal fun, especially for young kids. And a unique Canberra venue that many Canberrans remember from their childhoods is being revamped and rediscovered. I’ll give you a hint – not at the real Australian Parliament House. 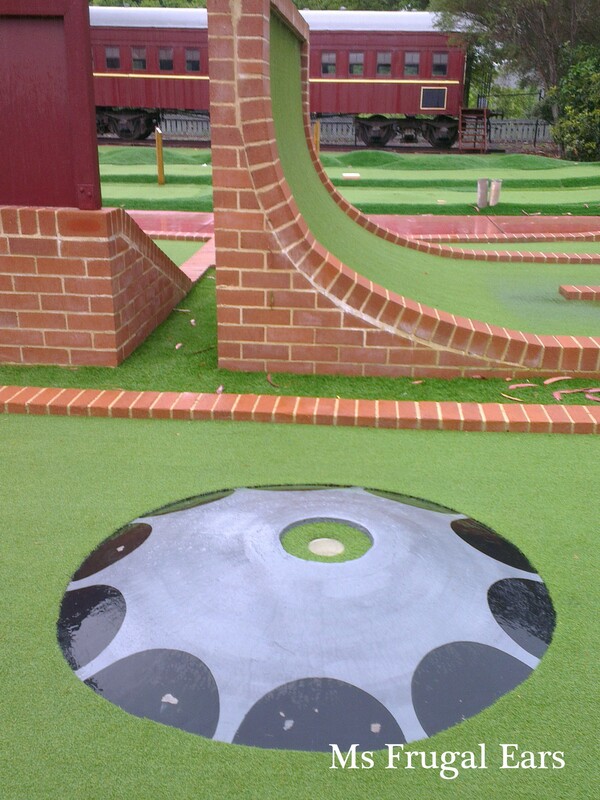 Instead I’m at a minature version at the Yarralumla Play Station! You might know it as the Weston Park Train Station, a small café/train opposite the water park at Weston Park. 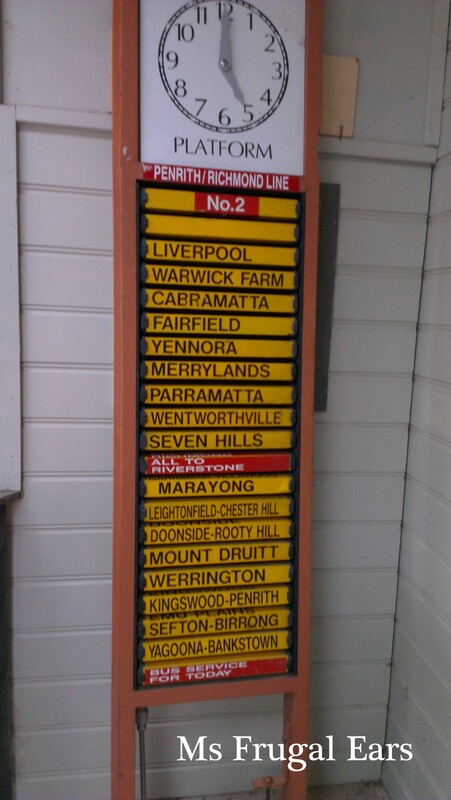 That’s Weston Park, Yarralumla, to avoid confusion with the suburb Weston Creek. This is a place that many young families used to visit, spending all day at the maze and the mouse house, enjoying and ice-cream and a ride on the train. 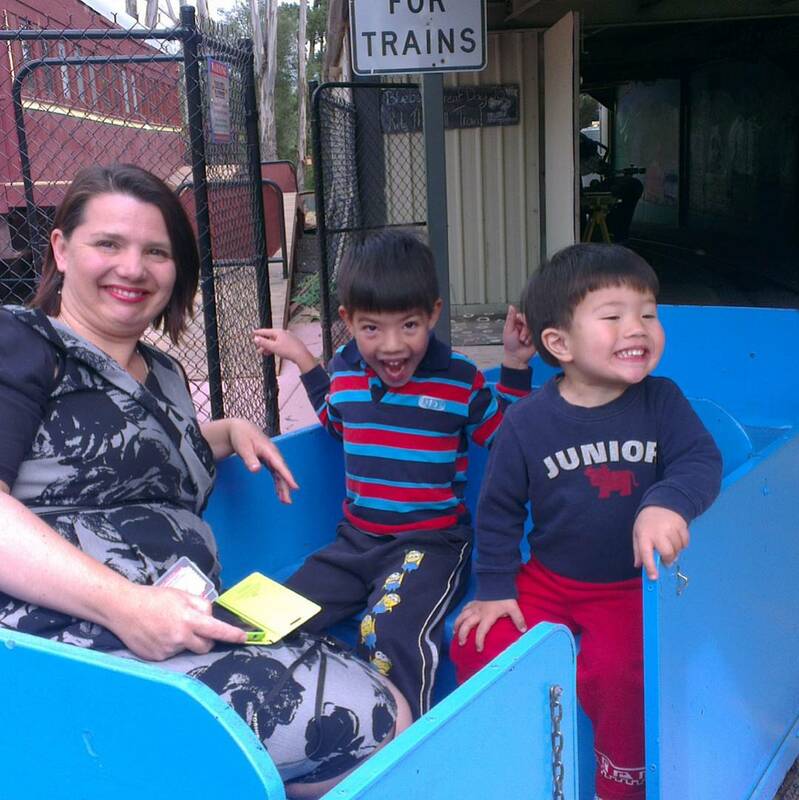 There are other places in Canberra that have kid friendly activities, but few that have the casual kind of hang out frugal fun atmosphere that the railway café used to create. I visited the former train station last year with my boys, and while they liked the train, you could see that the facility was run down. The former owners retired and last November they sold the business to Jason Perkins. What a difference a year makes. I visited in October for my birthday, taking an afternoon off work to spend time with my boys. The interior of the café has been refurbished with new benches and tables that resemble the inside of a train. 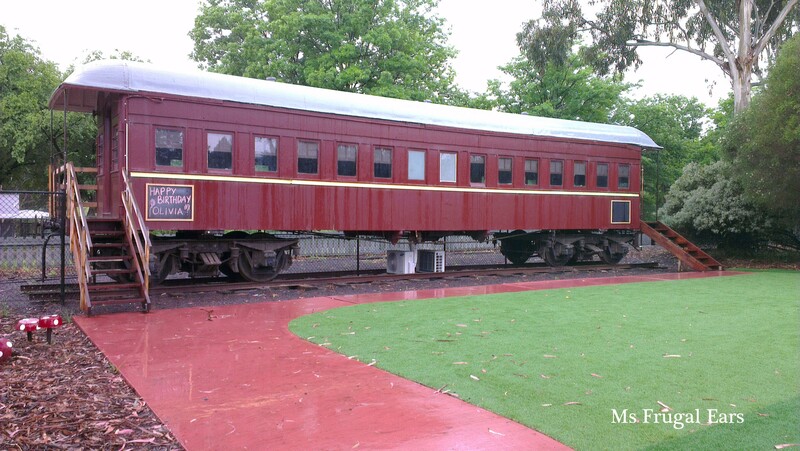 There are restored 100-year old carriages, that are used for custom birthday parties. 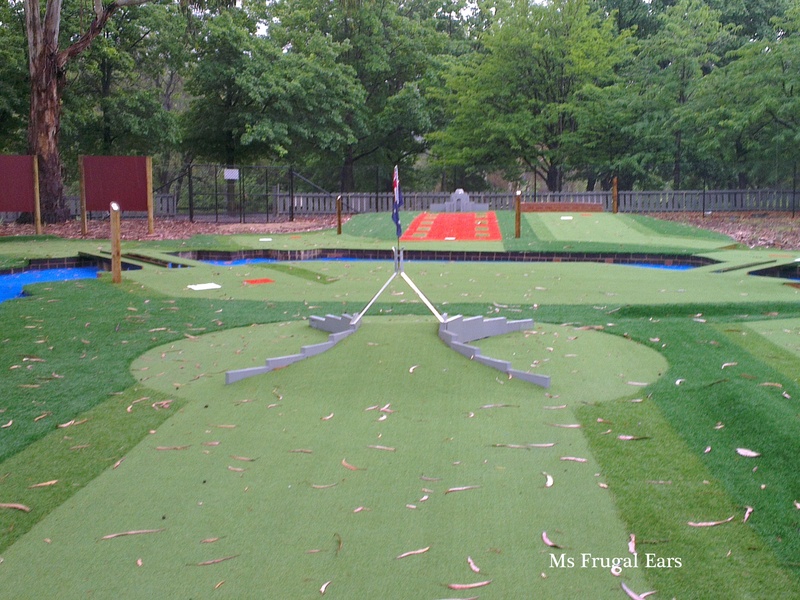 There is a mini-golf course with Canberra themed obstacles (I really liked Telstra Tower and the Shine Dome – and of course there is Australian Parliament House with the Australian War Memorial lined up symmetrically opposite to it). 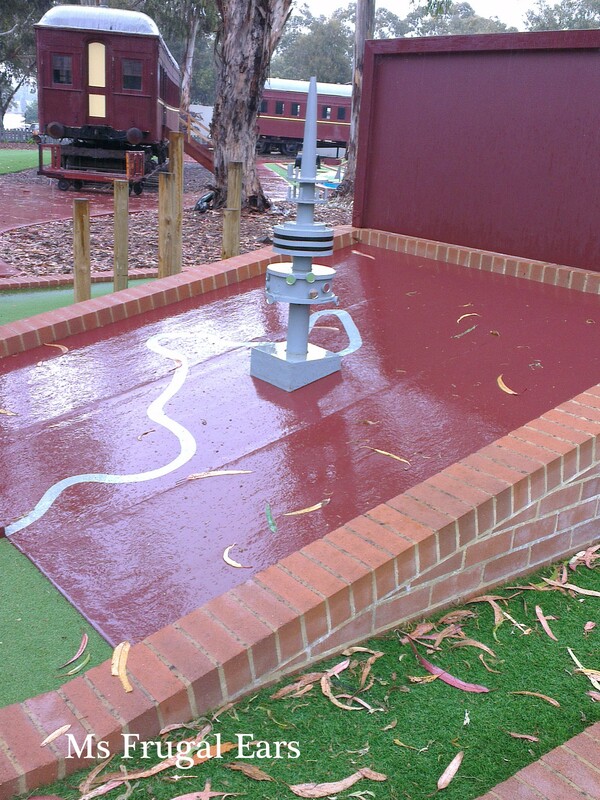 Next to the golf course is an area for playing party games, and there is a giant snakes and ladders board. There are also some animals including a cow and a sheep, and plans for a petting zoo/menagerie and a barn for the animals to live in. The Yarralumla Play Station wants to promote sustainability on the property including raising its own chickens and selling its free range eggs. It also wants to set itself up as a hub to promote local businesses. And the maze? Well, there are plans for that too. In the meantime, the baby swans are out and about at Weston Park. The Weston Peninsular is once again becoming popular with families – especially with Dads spending time with their kids and grandparents taking their grandkids on a train ride. The train ride is just the right length to be interesting but not long enough for small children to get bored. The spooky tunnel on the train ride is still there (my kids spontaneously gave each other a cuddle as they went through to comfort each other, cute), and there is the promise of an ice-cream at the end. Even a frugalista can afford that!